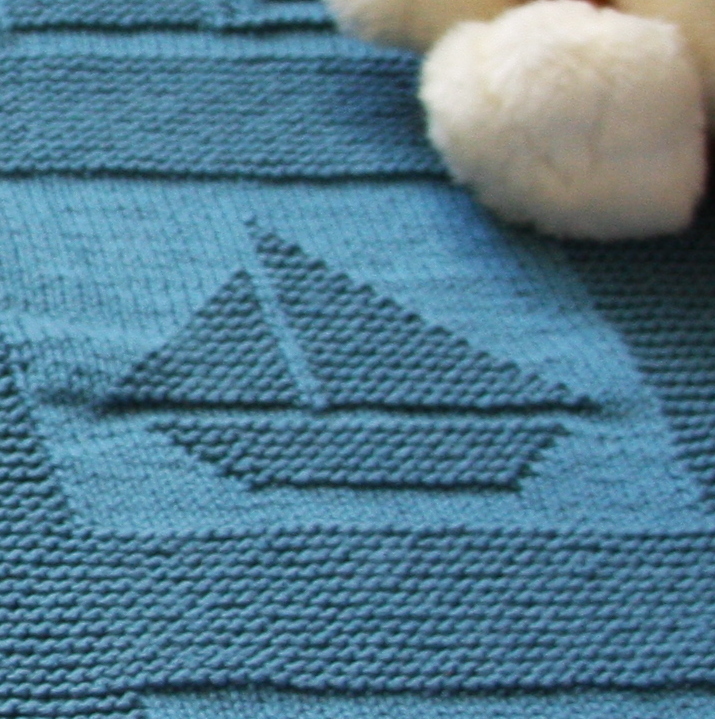 Comfy, by Knit Picks, is so heavenly soft, it must surely bring sweet dreams to wee little ones wrapped in it. I loved working with it and I highly recommend it. A washable blend of Pima cotton and acrylic, it is the best of both worlds. 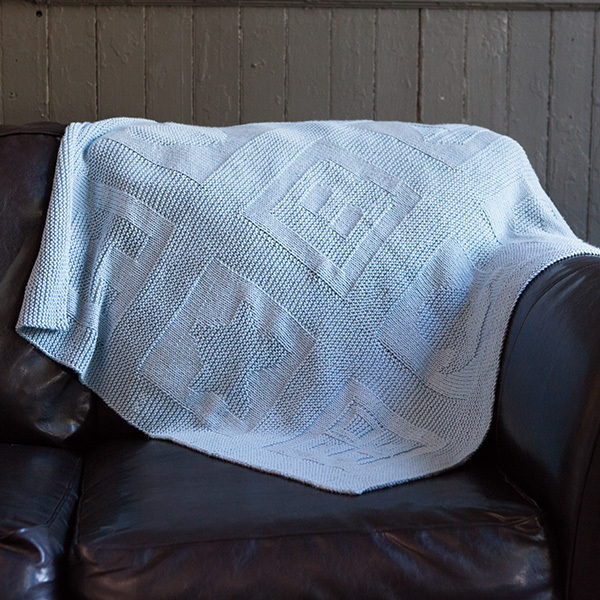 The blanket is easy, requiring only knit and purl stitches and no shaping. 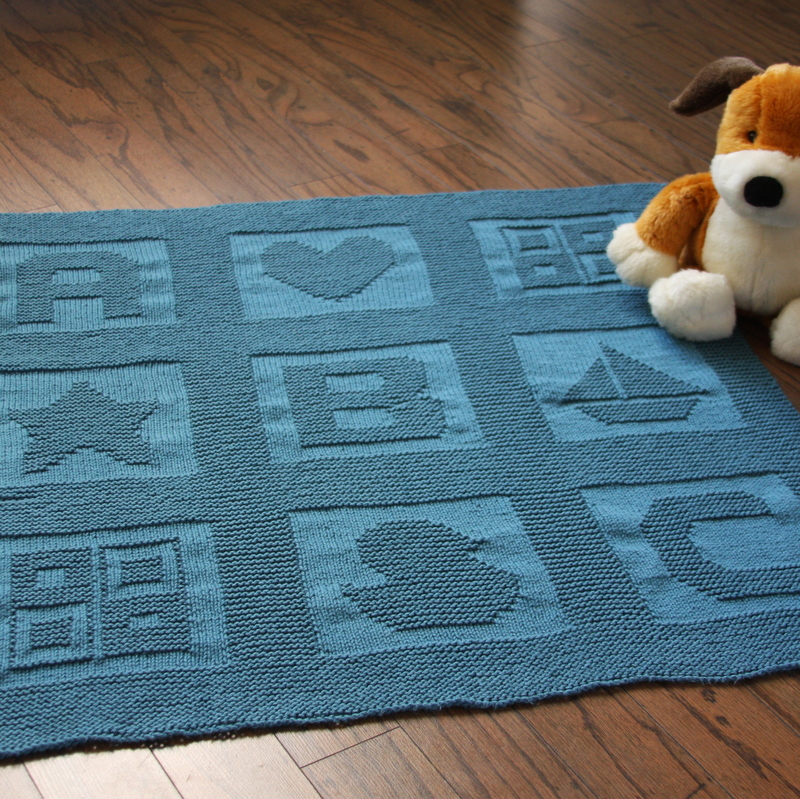 It is a classic 9 block coverlet including an A, B, C, a duck, a sailboat, a star, a heart and two 4 squares. 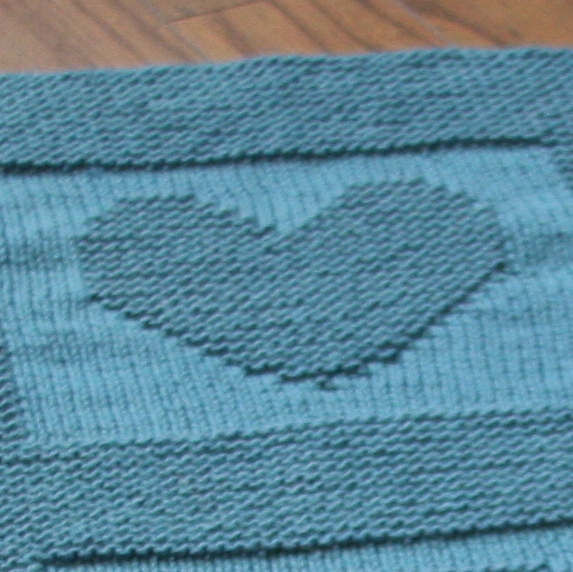 I usually make things more complicated, (maybe more than they have to be) — cabling, lacework, stranding, etc. For that reason, it came as a fun challenge, and yet a relaxing departure, to come up with something really easy to work, while including interesting design elements. The yarn is so magically soft, it was natural to imagine some precious, future gran, snuggled in my arms, dreaming sweet little baby dreams. Lady Edith’s Hooded Scarf is here!